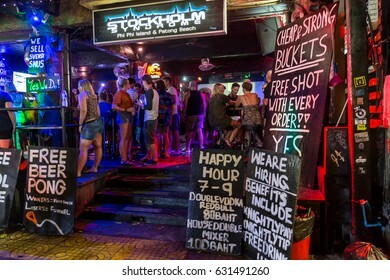 5,959 stock photos, vectors, and illustrations are available royalty-free. 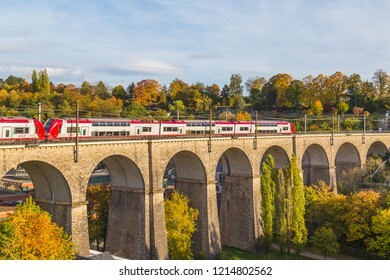 LUXEMBOURG CITY, LUXEMBOURG - 12TH OCTOBER 2018: Double Decker trains on a bridge in Luxembourg during the day. 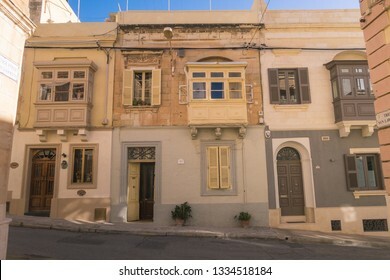 SLIEMA, MALTA - 31ST OCTOBER 2018: The Point shopping centre in Sliema Malta during the day. People can be seen outside. 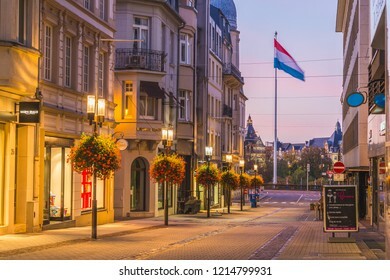 LUXEMBOURG CITY, LUXEMBOURG - 13TH OCTOBER 2018: A view along the Rue Philippe II at sunrise. 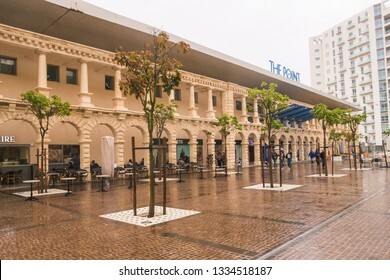 The outside of buildings and shops can be seen. 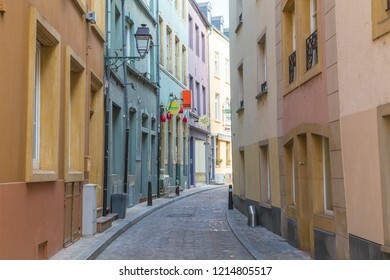 The Luxembourg Flag can be seen in the distance. 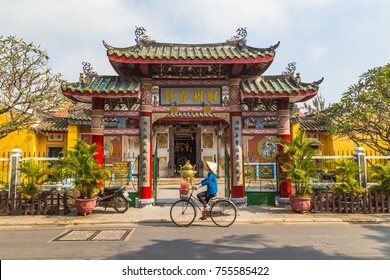 HOI AN, VIETNAM - 25TH MARCH 2017: The outside of the Trieu Chau Assembly Hall in Hoi An, Vietnam during the day. A person with a traditional conical hat can be seen going past on a bike. 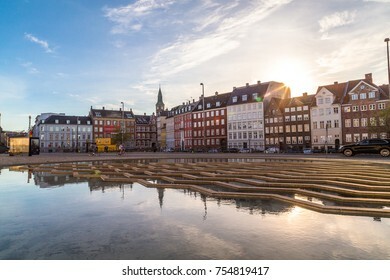 COPENHAGEN, DENMARK - 22ND MAY 2017: Buildings, architecture, boats and reflections along the Nyhavn during the day. Reflections and people can be seen. 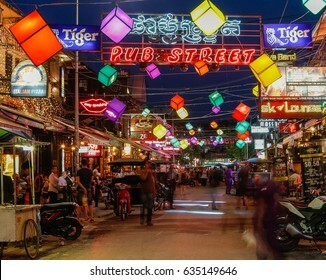 SIEM REAP, CAMBODIA - 29TH MARCH 2017: Bars, restaurants and lights along Pub Street in Siem Reap Cambodia at night. Lots of people can be seen. 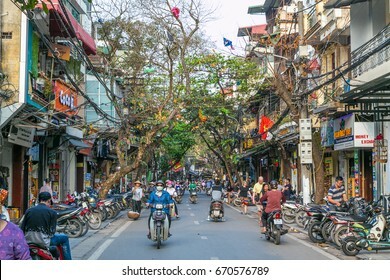 HANOI, VIETNAM, 20TH MARCH 2017: Streets of the Old Quarter of Hanoi during the day. Lots of people and traffic can be seen. 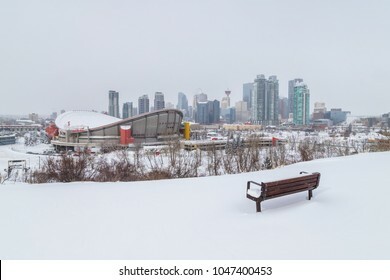 CALGARY, CANADA - 4TH MARCH 2018: A view of the Calgary Skyline in the winter from Scotsman's Hill. 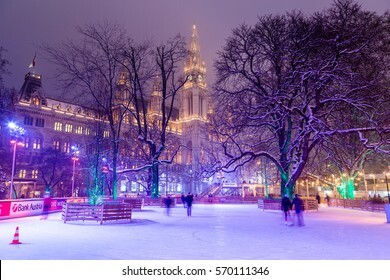 Showing snow, architecture and buildings. 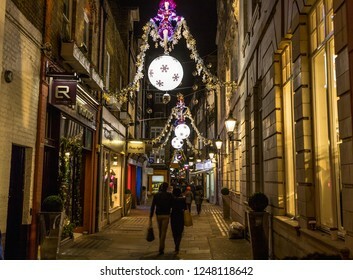 LONDON, UK - 25TH NOVEMBER 2018: Gee's Court and St Christophers Place in London at Christmas. 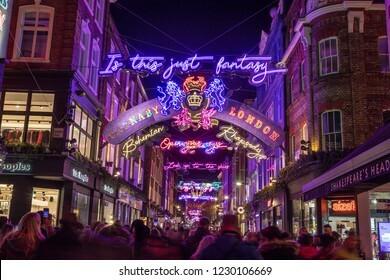 Showing the festive lights and decorations, restaurants, buildings and people. 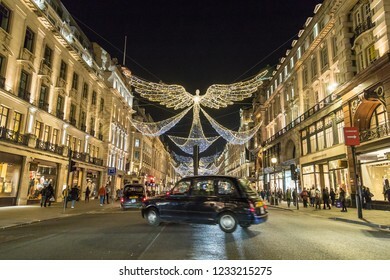 LONDON, UK - 17TH NOVEMBER 2018: Views along Regent Street at night showing Christmas decorations along the street. 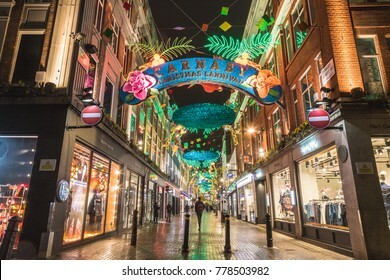 LONDON, UK - 11TH NOVEMBER 2018: Carnaby Street Christmas decorations in 2018. In a Bohemian Rhapsody theme. Lots of people can be seen. 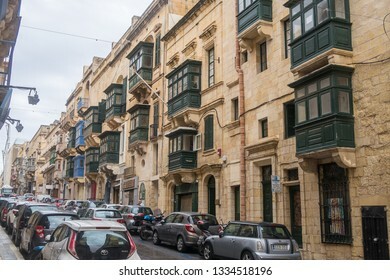 VALLETTA, MALTA - 1ST NOVEMBER 2018: St. Lucia's Street in Malta during the day. 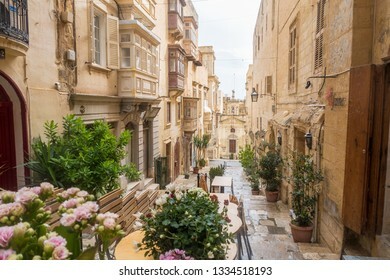 Showing typical architecture, balconies and the style of the streets. 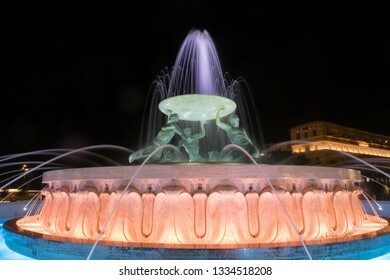 VALLETTA, MALTA - 30TH OCTOBER 2018: The Triton Fountain near the entrance to the city of Valletta, as seen at night time. 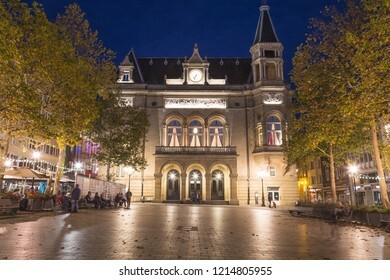 LUXEMBOURG CITY, LUXEMBOURG - 12TH OCTOBER 2018: The outside of the City Palace (Cercle Cite) at night. People can be seen. 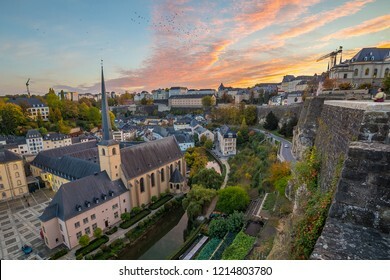 A colourful view of the Luxembourg Skyline at sunset. 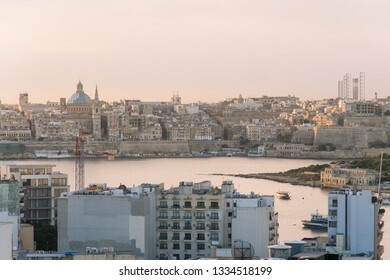 Part of the Grund and Corniche can be seen. 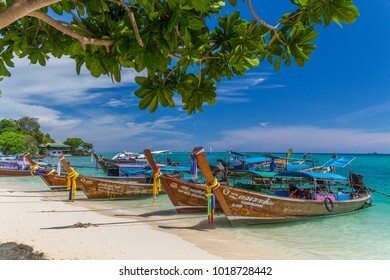 Long-tail boats, the Andaman Sea and hills in Ko Phi Phi Don, South Thailand. 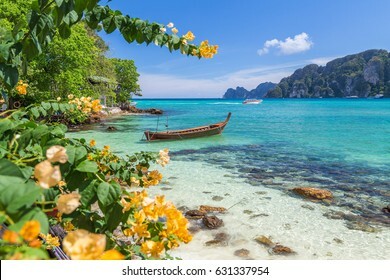 Clear blue water can be seen. 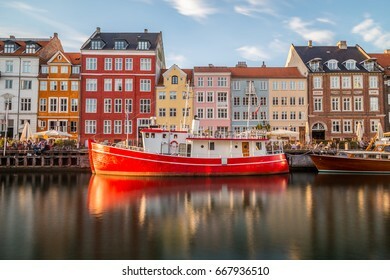 COPENHAGEN, DENMARK - 22ND MAY 2017: Buildings along the Nyhavn in Copenhagen and a bright red boat. People can be seen. 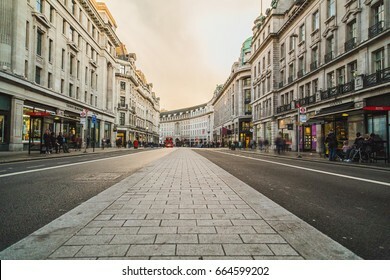 LONDON, UK - 24TH MARCH 2015: A view of Regent Street during the day, showing shops, buildings and people. 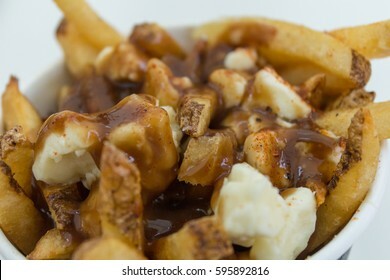 Closeup to a serving of Poutine in Canada which consists of fries, gravy and cheese curds. 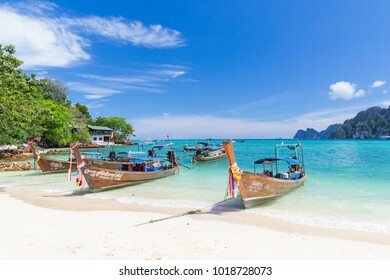 KO PHI PHI, THAILAND, 31ST MARCH 2017: Long-tail boats, the Andaman Sea and hills in Ko Phi Phi Don, South Thailand. 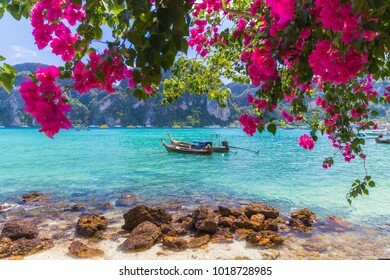 Clear blue water can be seen. 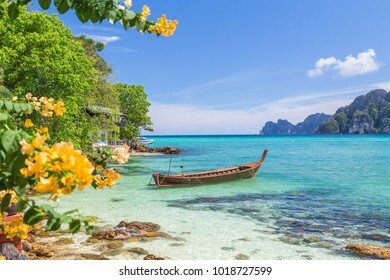 Boats, the Andaman Sea and hills in Ko Phi Phi Don, South Thailand. 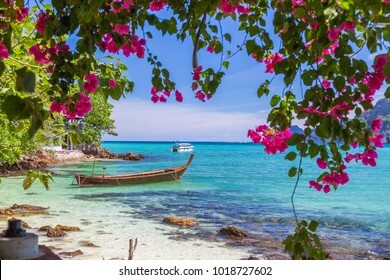 Clear blue water can be seen. 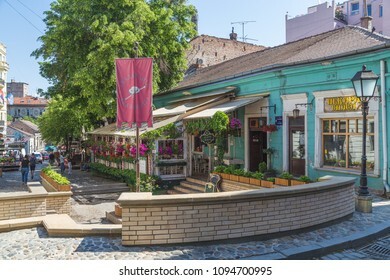 BELGRADE, SERBIA - 8TH MAY 2018: A view along Skadarlija (street) in Belgrade, a popular spot for trying traditional Serbian food at the many restaurants along the street. 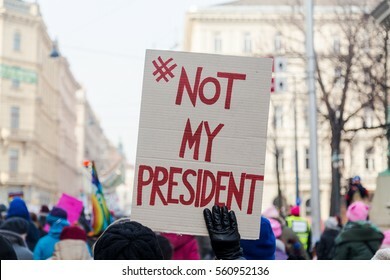 People can be seen. 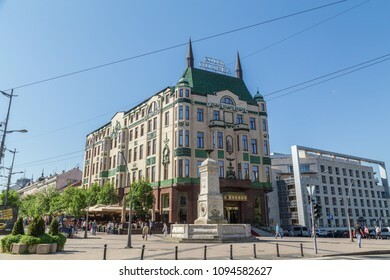 BELGRADE, SERBIA - 8TH MAY 2018: The outside of Hotel Moskva in Belgrade. People can be seen outside. 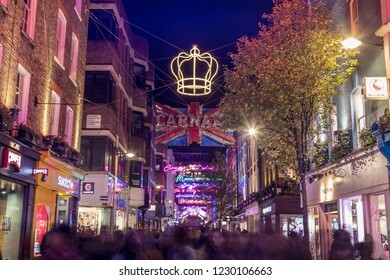 LONDON, UK - 13TH DECEMBER 2017: A view along Carnaby Street in London at night at Christmas. Lots of colorful decorations can be seen. 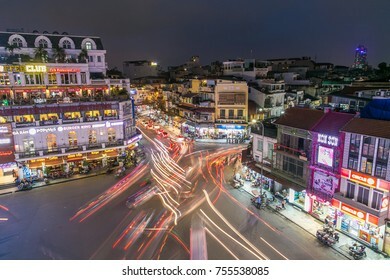 HANOI, VIETNAM - 20TH MARCH 2017: Trails of light from large amounts of traffic in central Hanoi at night. 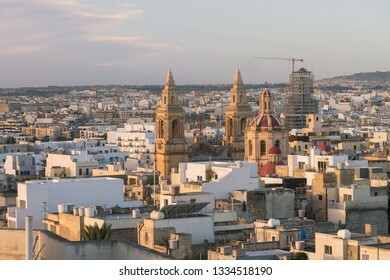 The outside of buildings and people can be seen. VIENNA, AUSTRIA - 1ST FEB 2017: Wiener Eistraum (Vienna Ice World) at Rathausplatz in the winter. Rathaus (City Hall) can be seen in the distance. 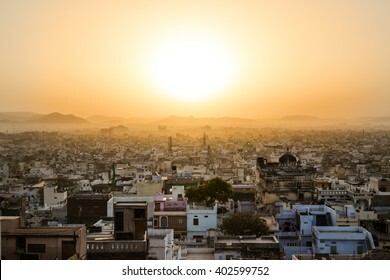 High view showing part of the Udaipur skyline at sunrise. 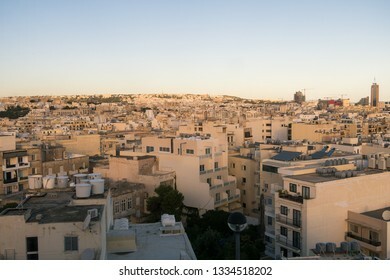 Lots of buildings can be seen and hills and the sun can be seen in the distant. 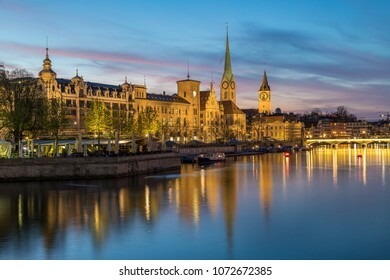 Views of the Zurich Skyline at sunset-blue hour. 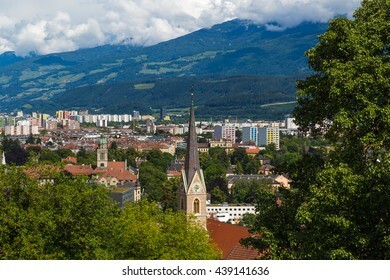 The Fraumunster and St. Peter Church can be seen. 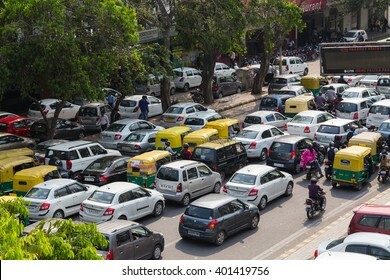 DELHI, INDIA - 19TH MARCH 2016: Large amounts of traffic on a road in India during the day. Tuk Tuk Rickshaws, motorbikes, cars and people can be seen. 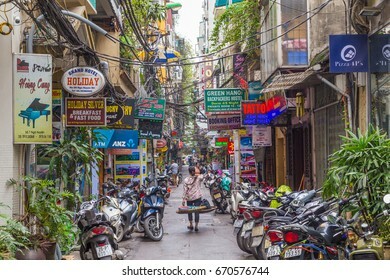 HANOI, VIETNAM, 19TH MARCH 2017: A view along streets of Hanoi during the day. Buildings, shop signs, parked motorbikes and people can be seen. Buildings along the waterfront in Krems, Austria. Wineries and hills can be seen. 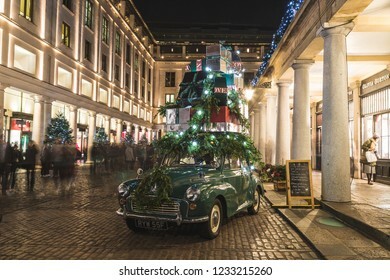 LONDON, UK - 25TH NOVEMBER 2018: St Christophers Place in London at Christmas. 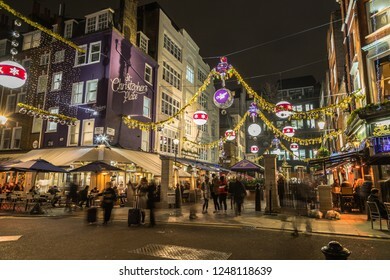 Showing the festive lights and decorations, restaurants, buildings and people. A view of Charles Bridge and the Old Town from the Mala Strana side of the river. 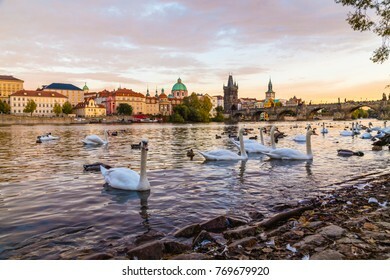 Large amounts of swans can be seen. 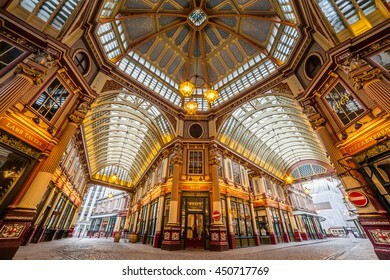 LONDON, UK - 6TH JULY 2016: A low angle view of part of Leadenhall Market in the City of London in the morning. 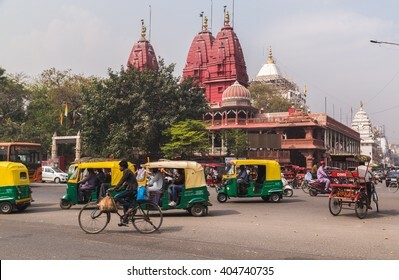 DELHI, INDIA - 19TH MARCH 2016: A view of streets and the Shri Digambar Jain Lal Mandir Temple in Delhi. Lots of Tuk Tuk Rickshaws and traffic can be seen. 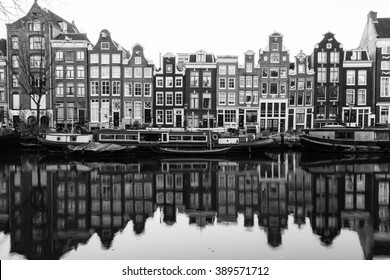 AMSTERDAM, NETHERLANDS - 16TH FEBRUARY 2016: A view of buildings and boats along the Amsterdam Canals. 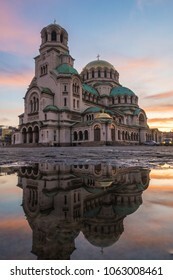 Reflections can be seen in the water. 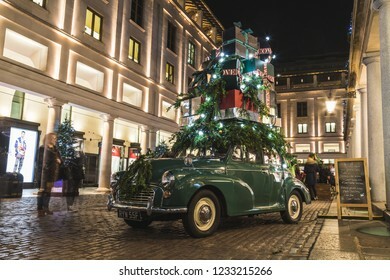 LONDON, UK - 17TH NOVEMBER 2018: A decorated car with presents on top at Covent Garden in London at night. People can be seen. 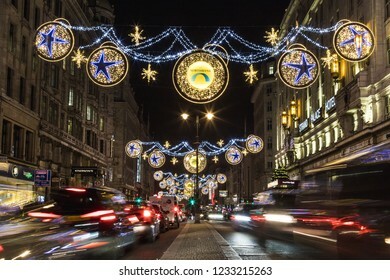 LONDON, UK - 17TH NOVEMBER 2018: A view along the Strand showing the Northbank Christmas decorations at night. 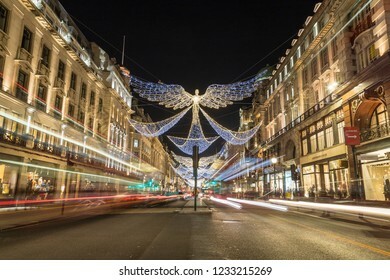 LONDON, UK - 17TH NOVEMBER 2018: Views along Regent Street at night showing Christmas decorations along the street. 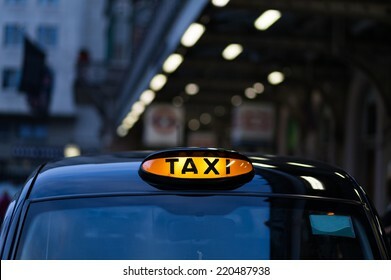 A typical London Black Cab can be seen going past. 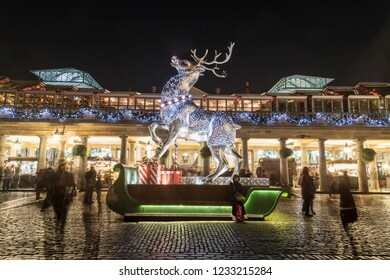 LONDON, UK - 17TH NOVEMBER 2018: A large decorated reindeer at Covent Garden in London at night. People can be seen. 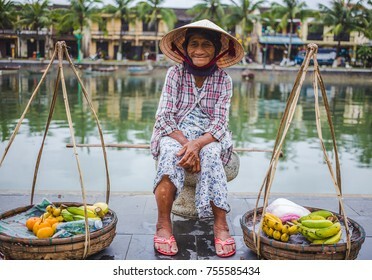 HOI AN, VIETNAM - 27TH MARCH 2017: An elderly lady waiting by the side of the river in Hoi An selling to sell fruit. 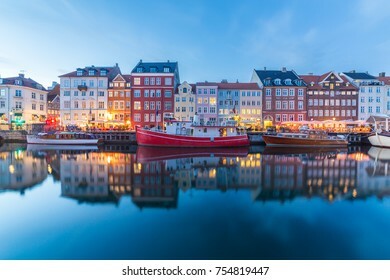 COPENHAGEN, DENMARK - 22ND MAY 2017: View of boats and buildings along the Nyhavn at night. People can be seen at restaurants and reflections can be seen in the water. 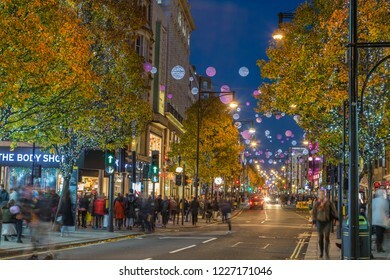 LONDON, UK - 11TH NOVEMBER 2018: Views along Oxford Street with colourful Christmas decorations and lights. Lots of people and a London taxi can be seen. 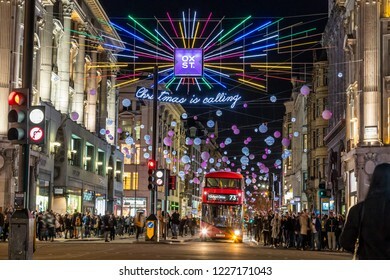 LONDON, UK - 11TH NOVEMBER 2018: Views along Oxford Street with colourful Christmas decorations and lights. Lots of people can be seen. 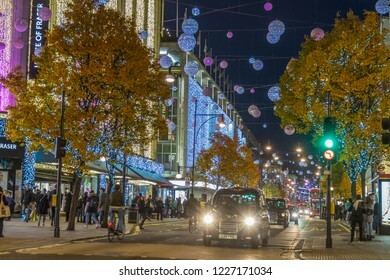 LONDON, UK - 11TH NOVEMBER 2018: Views along Oxford Street around Selfridges around Christmas time. 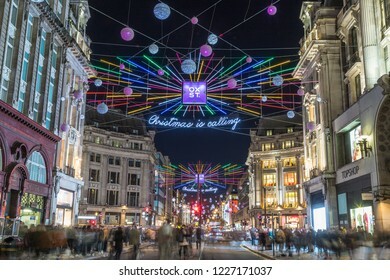 Colourful Christmas decorations and lights. People can be seen. 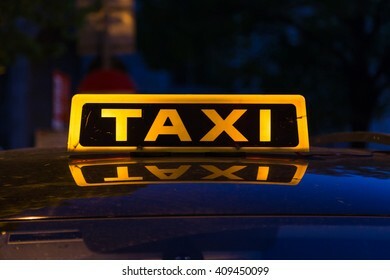 Closeup to a yellow and black taxi sign on a top of a car. Reflections can be seen on the car roof. 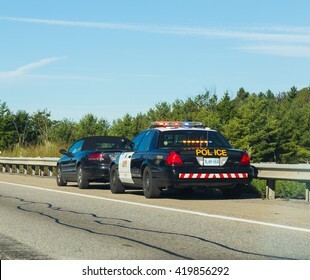 CANADA - 29TH AUGUST 2014: A car that has been pulled over by the police on a road in Canada. 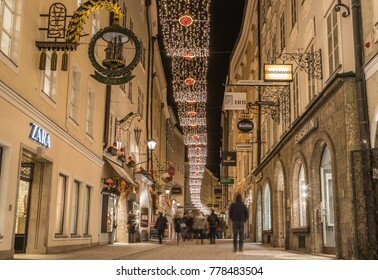 SALBURG, AUSTRIA - 20TH DECEMBER 2017: A view along Getreidegasse in Salzburg at night during the Christmas season. 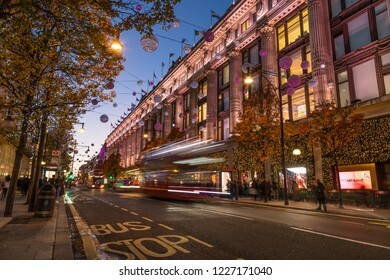 Decorations, people, shops and buildings can be seen. 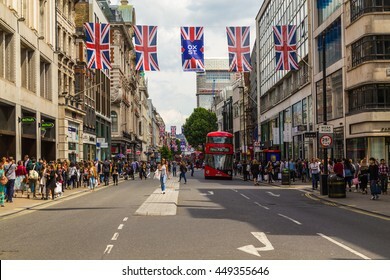 LONDON, UK - 28TH JUNE 2016: A view along Oxford Street in London during the day. London Red double decker Buses, union jack flags and lots of people can be seen. 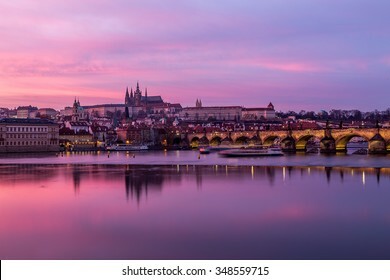 Charles Bridge in Prague, towards the Lesser Quarter and Prague Castle at sunset with a colorful vibrant sky. 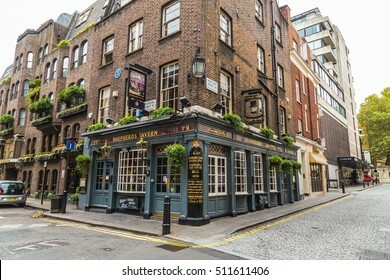 LONDON, UK - 28TH JUNE 2016: A view of the outside of the Churchill Arms in London. 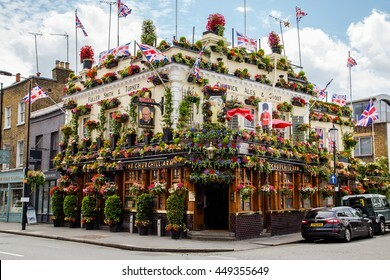 Large amounts of flowers and UK decorations can be seen on the exterior. 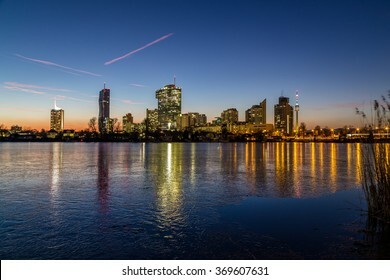 A view of buildings near the Alte Donau in Vienna. Taken in the winter at sunset. Frozen Ice can be seen on the lake. 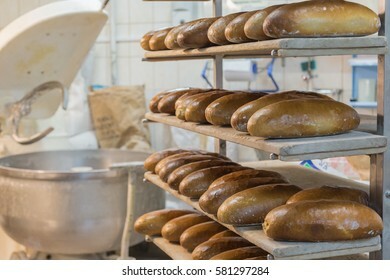 Fresh bread at a bakery in Poland. A mixing machine for bread making can be seen in the background. 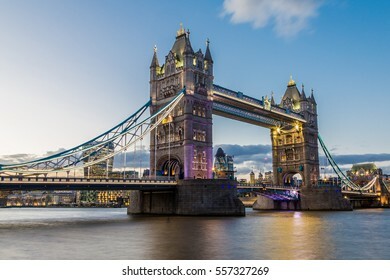 Tower Bridge at dusk taken with a long exposure. There is copy space on the image. 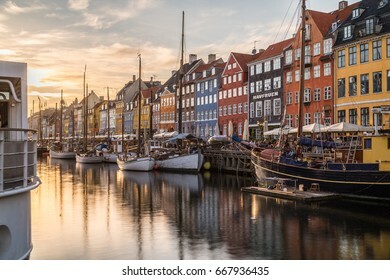 COPENHAGEN, DENMARK - 22ND MAY 2017: Buildings, architecture, boats and reflections along the Nyhavn at sunset. People can be seen. 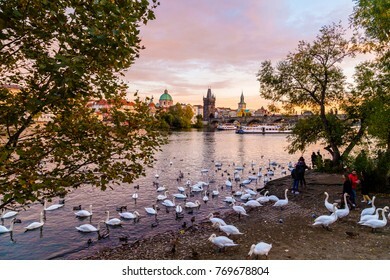 PRAGUE, CZECH REPUBLIC - 11th October 2017: A view of Charles Bridge and the Old Town from the MalÃ¡ Strana side of the river. 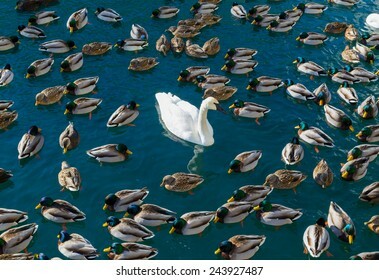 Large amounts of swans and some people can be seen. 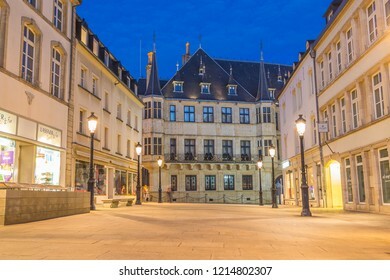 LUXEMBOURG CITY, LUXEMBOURG - 13TH OCTOBER 2018: A view of the Grand Ducal Palace at twlight. 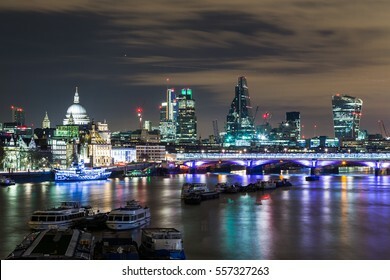 Street lights and other buildings can be seen. 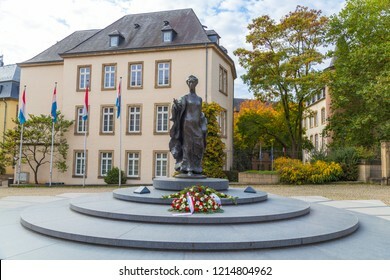 LUXEMBOURG CITY, LUXEMBOURG - 12TH OCTOBER 2018: The Grand Duchess Charlotte Monument located on Clairefontaine Square. Flowers can be seen at the base of the statue. 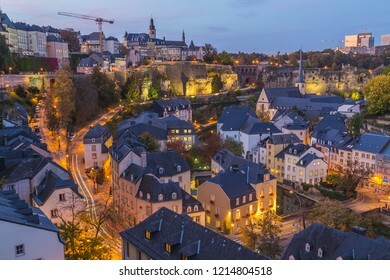 A view of the Luxembourg Skyline durin the blue hour. 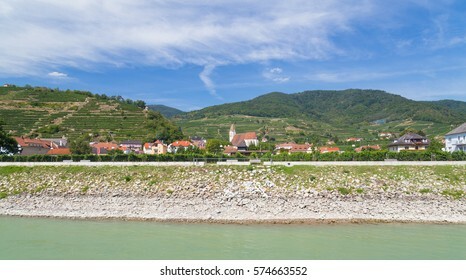 Part of the Grund and Bock Promontory can be seen. 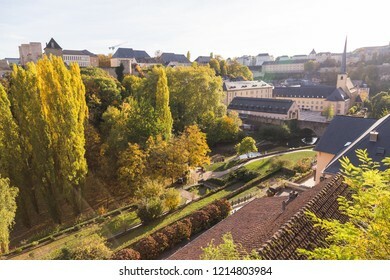 A colourful view of parks and architecture in Luxembourg during the autumn. 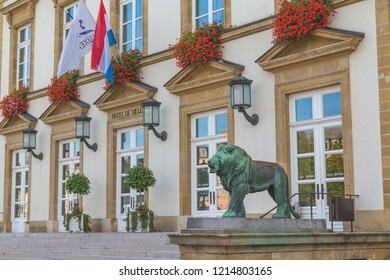 LUXEMBOURG CITY, LUXEMBOURG - 12TH OCTOBER 2018: The outside of the front Luxembourg Town Hall during the day. A statue of a lion can be seen outside the building. 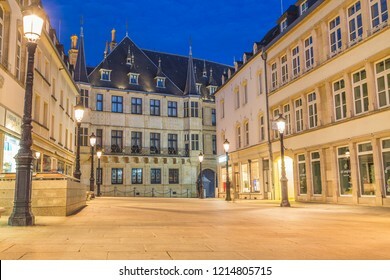 LUXEMBOURG CITY, LUXEMBOURG - 13TH OCTOBER 2018: A view of the Grand Ducal Palace at twlight. 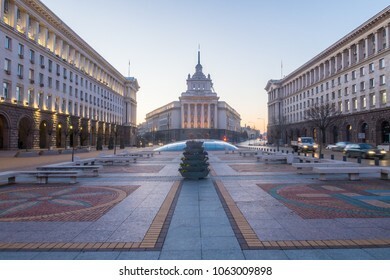 Street lights, other buildings and people can be seen. 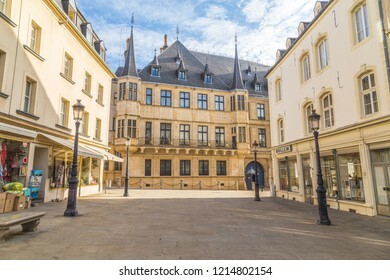 LUXEMBOURG CITY, LUXEMBOURG - 12TH OCTOBER 2018: A view of the Grand Ducal Palace during the day. Street lights, other buildings can be seen. 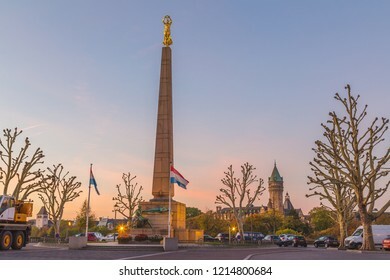 LUXEMBOURG CITY, LUXEMBOURG - 13TH OCTOBER 2018: The "Gelle Fra" memorial at sunrise. Flowers and flags and other architecture can be seen. 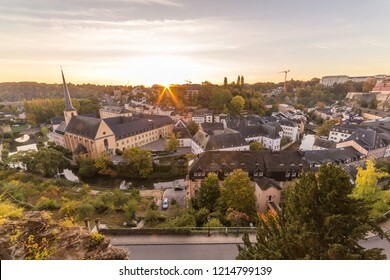 The Grund and part of the Luxembourg Skyline at sunrise. 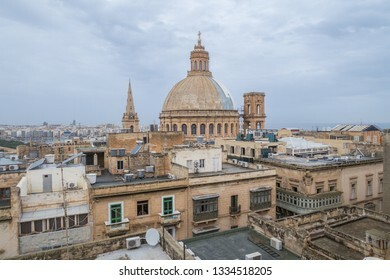 Architecture, rooftops and trees can be seen. 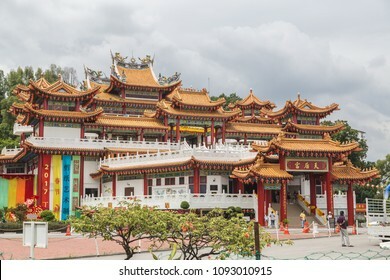 KUALA LUMPUR, MALAYSIA - 6TH APRIL 2017: The outside of the Thean Hou Temple in Kuala Lumpur. People can be seen. 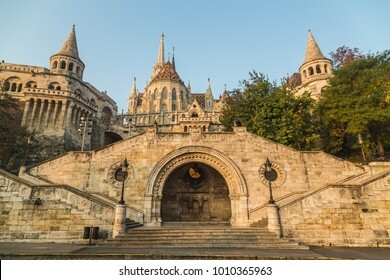 BUDAPEST, HUNGARY - 31ST OCTOBER 2015: The outside of Fisherman's Bastion in Budapest during the day in the morning. 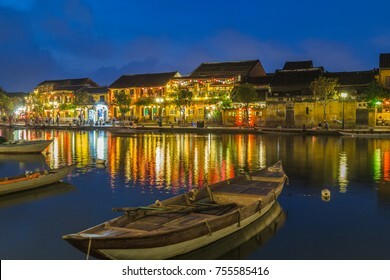 HOI AN, VIETNAM - 24TH MARCH 2017: A view over the Thu Bon River towards Bach Dang street in Ancient Town. 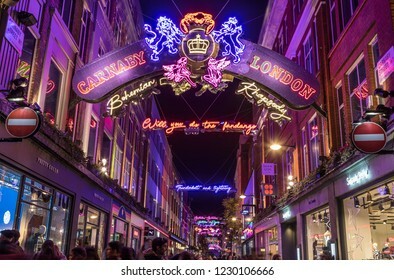 Colourful lights, buildings, reflections and people can be seen. 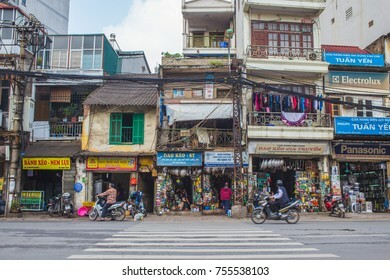 HANOI, VIETNAM - 19TH MARCH 2017: The outside of buildings in central Hanoi during the day. 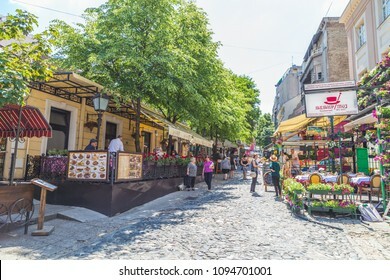 Shops and people can be seen. 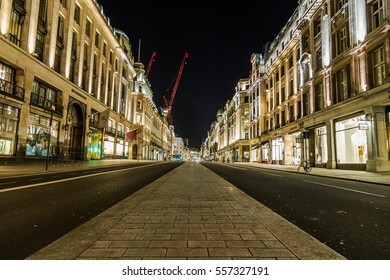 LONDON, UK - 8TH MARCH 2015: Regent Street in central London at night showing the architecture and outside of buildings. COPENHAGEN, DENMARK - 22ND MAY 2017: Architecture and reflections in Copenhagen Denmark during the day. 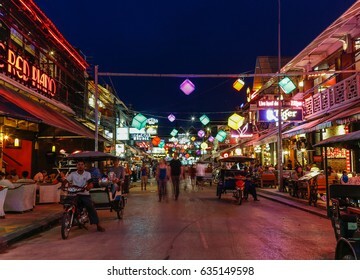 KO PHI PHI DON, THAILAND -1ST APRIL 2017: Bars and nightlife in Ko Phi Phi Don at night. Lots of people can be seen. 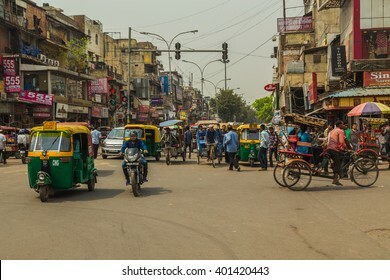 DELHI, INDIA - 19TH MARCH 2016: A view along streets of Delhi during the day showing buildings, Tuk Tuk Rickshaws, motorbikes and people. 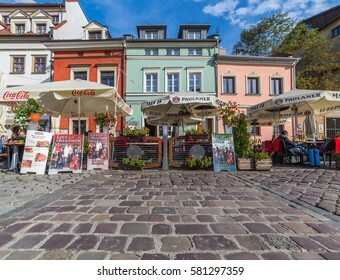 KRAKOW, POLAND - 15TH OCTOBER 2016: Colourful buildings and restaurants in the Kazimierz district of Krakow. People can be seen. 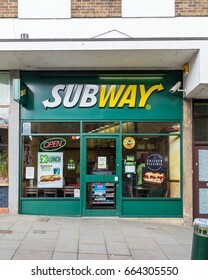 BUCKINGHAM, UK - 6TH MARCH 2015: The outside Subway fast food branch in Buckingham during the day.